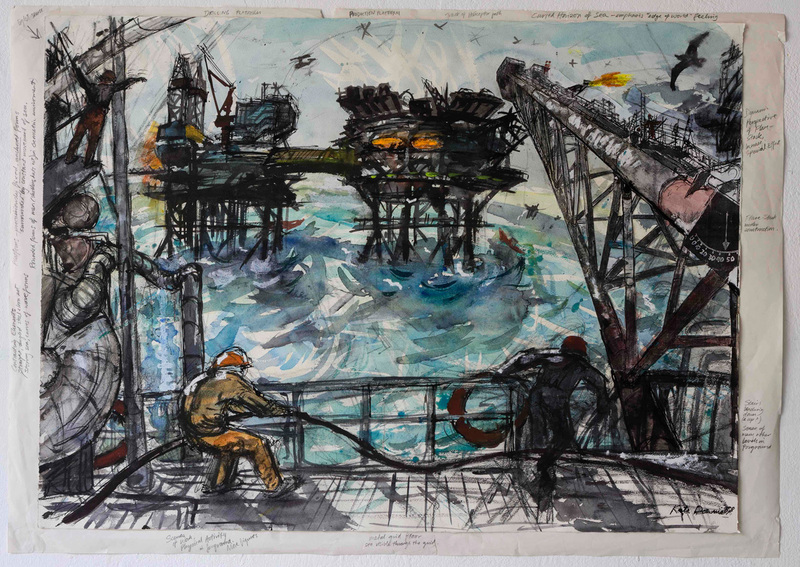 After remaining in private ownership for some 55 years,c one of the earliest and most significant paintings by internationally acclaimed artist the late John Bellany CBE will go on permanent public display as part of the Scottish Maritime Museum’s new national art collection, it was announced today (Friday 28 September). Helen Bellany, the artist’s partner and muse, unveiled ‘The Boat Builders’ at the painting’s new home at the Scottish Maritime Museum on the Harbourside in Irvine calling it “one of the key works of his career” and a symbol of their life-long journey together. The Scottish Maritime Museum acquired, ‘The Boat Builders’ by John Bellany (1942-2013) with £95,000 from the National Heritage Memorial Fund (NHMF), £90,000 from the Art Fund and £15,000 from the National Fund for Acquisitions. Whilst Bellany’s works have been exhibited across the world and purchased by collectors including Sean Connery and David Bowie, ‘The Boat Builders’ has rarely been seen in public remaining, until now, in the ownership of John Bellany and, more lately, the Estate of John Bellany. The painting was most recently displayed in the National Galleries of Scotland 2012 John Bellany Retrospective. One of the most influential Scottish painters since the war, Bellany sailed against the tide of realism and abstraction from the start of his career in the 1960s. Working prolifically to re-establish a native, figurative art, he drew on his life growing up in a family of fishermen and boatbuilders in Port Seton, near Edinburgh, and the sea was a familiar subject of his work. Bellany painted ‘The Boat Builders’ in 1962 whilst attending Edinburgh College of Art, where he met Helen, an artist in her own right. Commanding over 3 metres by 5 metres, the huge oil on board painting captures construction of a seine netter inscribed with the name ‘Good Hope’ and the words ‘BELLANY’ at the stern. Only a few weeks into their romance, which was to see them marry twice and bear three children together, they had already made a pact to spend the rest of their lives together. ‘The Boat Builders’ reflected both the sea voyages of Bellany’s ancestors and the start of their own life-long journey ‘taking on the world’ together. ‘The Boat Builders’ will go on show as part of the Scottish Maritime Museum’s current Maritime Perspectives : Collecting Art of a Seafaring Nation exhibition. The exhibition is the first full showing of the Museum’s new national art collection which features works by other nationally and internationally renowned artists such as FCB Cadell, Ian Hamilton Finlay, Muirhead Bone and Kate Downie. After the exhibition closes on Sunday 21 October, ‘The Boat Builders’ will remain on view until the end of March. It will then undergo conservation work before returning to permanent display. “Since 2015 when we embarked on our ambitious, three year art acquisition project, SMMart: Enriching the Imagery of Scotland’s Maritime Heritage, it has been our fervent hope to collect a significant work by internationally acclaimed artist John Bellany as the ‘jewel in the crown’ of our new national art collection. “We are therefore absolutely thrilled to welcome ‘The Boat Builders’ to a new home on public display at the Scottish Maritime Museum. As well as bringing international significance to the art collection, this wonderful painting enriches the national maritime heritage collection, which includes some of the country’s most beautiful and most historic vessels, and will bring, I am sure, a lot of enjoyment to many, many visitors. “Also importantly, ‘The Boat Builders’ stands as a very fitting tribute to all shipbuilders, boat builders and maritime industrial workers who made Scotland a great maritime and industrial nation right through to the talented young trainees at our Scottish Boat Building School here at the Museum. “Bellany and his close friend Alexander (Sandy) Moffat were inspired by social realism and the desire to present a modern Scotland whilst embracing the nation’s heritage. ‘The Boat Builders’ is an exciting and important example. “We are delighted to support the acquisition of this important painting by John Bellany, which promises to be a highlight of the museum’s thriving collection of Scotland’s maritime heritage. It will give visitors from Scotland and beyond the opportunity to see and enjoy one of the country’s most celebrated artists, as well as firmly establishing the international significance of the museum as a leading collector of works by Scottish artists. The collection features over 80 artworks capturing Scotland’s coastline in all its grit and glory. 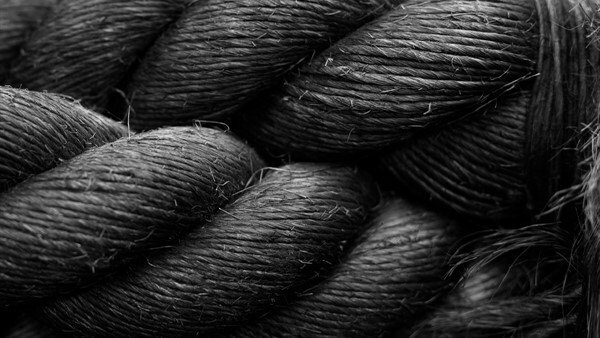 Exploiting a wide range of mediums from oil painting, watercolour, sketching and photography through to sculpture and mixed media, works feature scenes of shipbuilding, fishing, island communities, travel ‘doon the watter’ through to life on North Sea oil platforms and war and loss at sea. As part of a new Art Fund RA250 programme celebrating works by Royal Academician artists, the exhibition also features a display of recently acquired works by William Lionel Wyllie RA including ‘The Grand Fleet in the Firth of Forth’ after the Armistice. Maritime Perspectives : Collecting Art of a Seafaring Nation runs at the Scottish Maritime Museum on the Harbourside in Irvine, Ayrshire, until 21 October. Entry to the exhibition is included within the standard Museum admission. Joanna Harrison, Mobile: 07884 187404.